Fashion Polish: Contrary Polish Spring It On Collection + Color4Nails exclusives swatches & review! Contrary Polish Spring It On Collection + Color4Nails exclusives swatches & review! I'm back today with swatches of the Contrary Polish Spring It On Collection as well as the latest Color4Nails exclusives, How Prim is your Rose? and I Kinda Lilac You? Formula was consistent on the entire collection : thin but easily build-able crellies, opaque in 2 coats, which is what I used in all of my swatches. Sprout is a greyed-out mint crelly. I love dusty colors and this one has enough grey to counterbalance the usual "lobster hands" effect that happens with mints. Shower is an aqua crelly with grey undertones. I really love this one, there aren't a lot of dusty aquas so it's definitely a keeper. Breeze is a grey toned blue / periwinkle crelly and another great take on your usual pastel. Fresh is a dusty lavender crelly. I can't get enough of these, you really can't go wrong with them. Bloom is a greyed-out lilac crelly. I feel like I'm repeating myself but this is yet another great pastel. 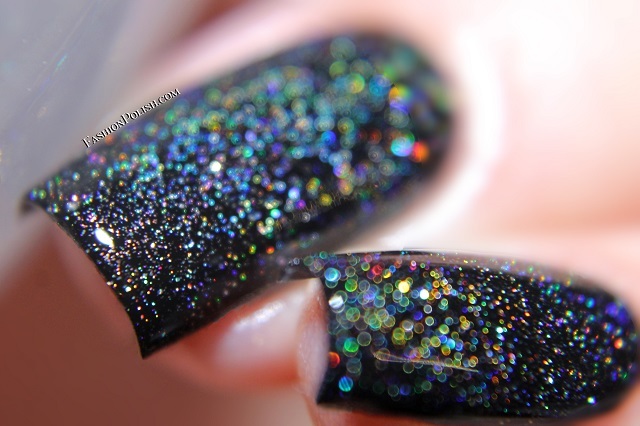 Dewy is a scattered holo topper with pink shimmers. I used 2 thin coats over black to try and bring out the rainbows and it makes a perfect combo. How Prim Is Your Rose? is a bubblegum pink crelly with copper and scattered holo shimmer/microglitter. Great formula and an easy 2 coats coverage. I Kinda of Lilac You? is a lilac crelly with silver and scattered holo shimmer/microglitter. Another easy 2 coater with flawless application. The Contrary Polish Spring It On Collection and new C4N exclusives are available at Color4Nails.com and retail for $11.50 to $12.50 each (international shipping available). So what do you think about these? Have you grabbed any of them? Thanks for looking and happy weekend guys!